I have a preoccupation with the histories of discarded objects and overlooked elements found in my surrounding environment. As a site based artist my work responds to the everyday discarded objects which I find. Utilising a pseudo-archaeological process I collect, sort and record these seemingly unimportant fragments. 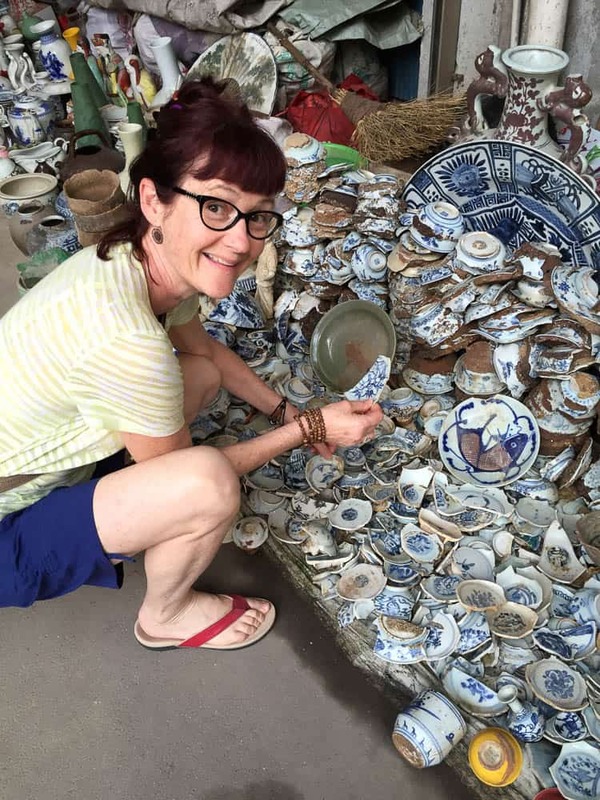 In 2015, I undertook a six week residency at The Pottery Workshop in Jingdezhen, China. 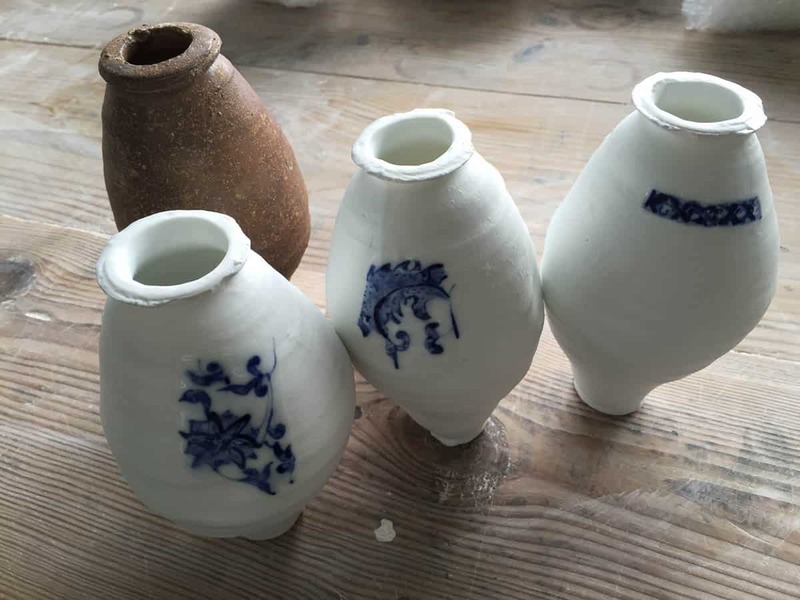 For over 2,000 years Jingdezhen has remained the Imperial Porcelain Capital of China. Today it still produces some of the best quality porcelain in the world. My reason for undertaking this residency was to continue the research I began in 2014 during my Honours year of a Bachelor of Visual Art at Adelaide Central School of Art. 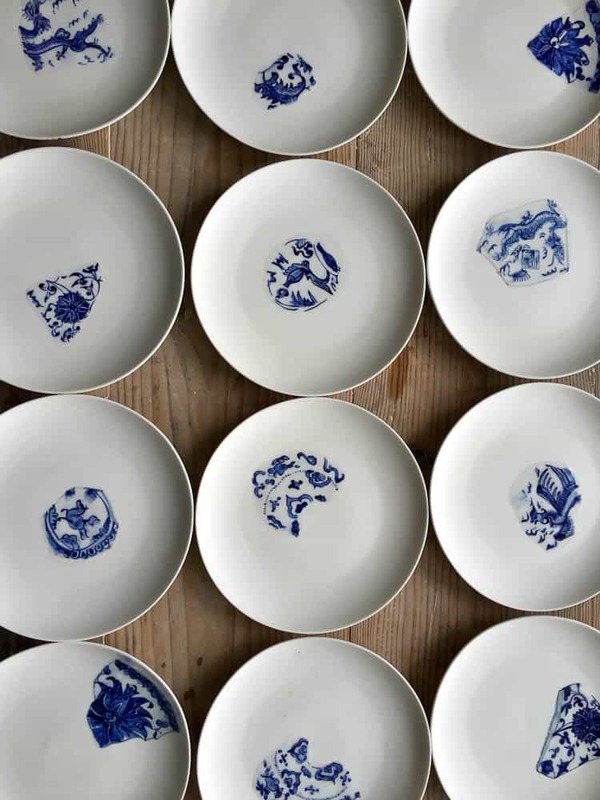 My interest lies in the history and aesthetics of the blue and white decorative style and the influences Chinese ceramics had on early European ceramics. My art practice has been evolving for the past two years beginning with the numerous broken shards of English Willow pattern that I found on the banks of the River Torrens in Adelaide. Many of these broken and worn shards dated back to the first European settlers who brought their dinner sets with them when they made the journey to start a new life in Australia. The collecting of broken shards is an important part of my work so whilst in China I was a regular visitor to the weekly shard market. It was here that I learned of 1,000 year old Song Dynasty vessels that were uncovered during searches for the valuable blue and white Ming and Qing Dynasty items. These plain, undecorated and roughly executed utilitarian vessels were undesirable and considered ‘imperfect’. They could be purchased for as little as AU$5. I found them beautiful, enchanting and deeply historical. 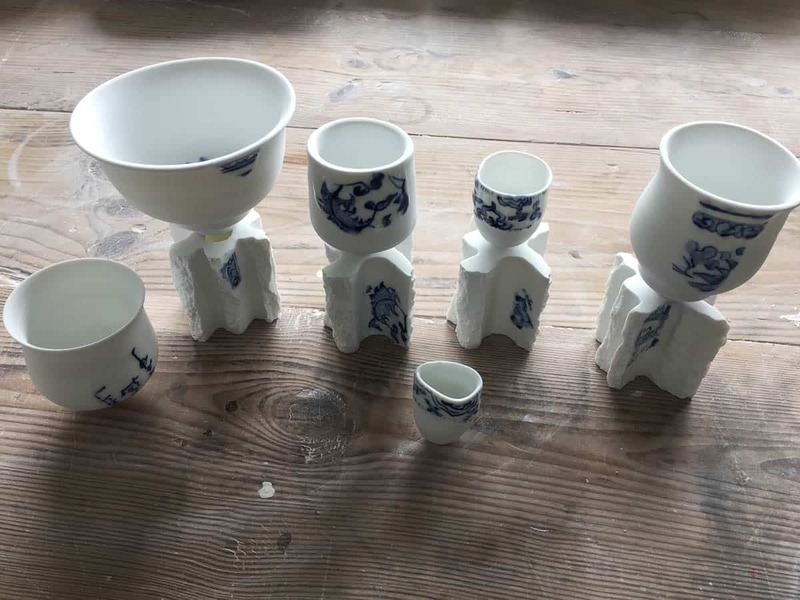 Works I produced in China sought to reflect upon such local happenings and cultural observations, exploring the associations and connections between the site, its objects, and the aesthetics of the “everyday”. By incorporating the old into the new, I aim to show that if we look, perfection is all around us. Maggie Moy completed a Bachelor of Visual Art (Hons) from Adelaide Central School of Art in 2014. She was selected to exhibit in both the 2014 and 2015 Helpmann Academy Graduate Exhibitions, from which she was awarded the Royal South Australian Society of Arts Award in 2015. She was also selected to exhibit in Hatched: National Graduate Exhibition 2015, at the Perth Institute of Contemporary Art (PICA), Western Australia. PICA selects 32 of the top graduating students from around Australia to exhibit in the annual Hatched exhibition. Moy is the curator of the Foyer Gallery within Victoria Park Chiropractic Clinic, Rose Park, which seeks to support emerging artists exhibiting their work for new audiences. She is a member of Switchboard Studios, Norwood, and Studio Potters SA, Klemzig. This work was displayed at the exhibition (im)Perfection at Adelaide Central Gallery 26 April – 21 May 2016.